LoanAdda helps you choose just the right loan for your needs at special rates and flaunts best home loan rates. With LoanAdda you get the best offers on home loans from leading financial institutions instantly. We also help you to choose between home purchase loans, home construction loans, home improvement loans & land/plot purchase loans. Apart from our banking partners we also have tie-ups with private companies that loan for plot. With our online services you compare and choose and apply for your housing loan instantly. The maximum loan amount which you can avail on your home loan depends on the value of the property for which home loan is taken. Ever dreamt of having your own house? Or have you ever desired to get that apartment you ever thought you’ll buy it someday? Well, don’t just sit back and dream, apply for a home loan and fulfill your dreams. Our home is our pride and choosing a perfect home for your family is of utmost value. With LoanAdda you can get a step closer to your dream home. Apply for a Home loan that suits you the best, based on your basic profile and location. LoanAdda offers you with a wide range of options so whether you are planning to buy a new house or purchasing a new plot of land for future constructions or looking to renovate your old house we have the best offers with lowest home loan rates. Whether you’re salaried or self-employed we have just the right offers. Considering your current earnings, income from other sources and minimum documentation our Home loan eligibility checker offers you best Home loan interest and offers that are custom made for you. We offer you a wide pool of options in collaboration with Major Banks and NBFCs to get you maximum repayment tenure on your loan at special home loan interest rates to help you determine the easiest EMI option on your home loan. LoanAdda’s online EMI calculator helps you to calculate the EMI that need to be paid out every month against your housing loan. Our online EMI calculator calculates and provides different flexible EMI offers based on your profile and tenure of your loan. LoanAdda also brings to you various options to transfer your existing Home loan at special interest rates. We also have schemes designed especially for our NRI customers at special rates with a maximum repayment tenure of up to 30 years . 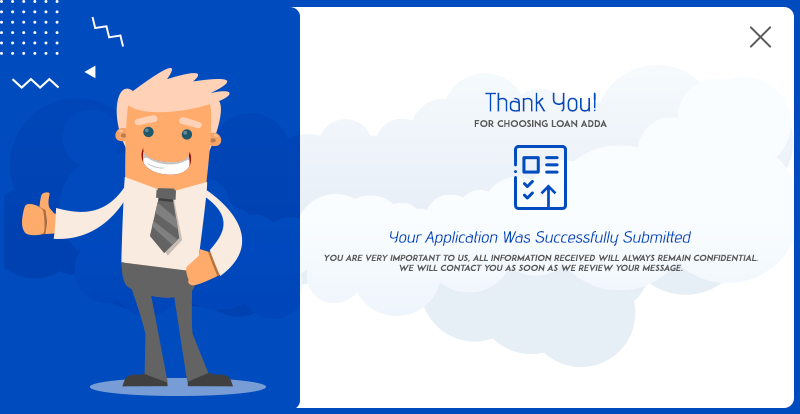 With us the whole procedure to apply for a home loan is simplified and with minimum documentation we help you get the best option on your housing loan. Our whole process is digitized enabling us to serve you quicker and with optimum transparency. Additionally enabling you to compare and choose among various available schemes with lowest home loan interest rates. Fill in the Home Loan Application Form, to check your eligibility. Compare various Home loan options, and apply for the suitable option.